A wood stove is a great way to keep your family warm during the winter. 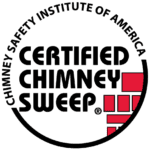 If you are frequently using your wood stove, an inspection from the experts at Patriot Chimney can tell you if you are are getting maximum efficiency out of your stove. Not only this, but you will also know if your stove is a safety concern or not. A wood stove is accustomed to cracks, warping, leaks, and creating creosote in the chimney leading to chimney fires. We recommend inspections and minor repairs at least once a year to protect your home. If you are looking for wood stove maintenance call us today. We offer full stove pipe services, interchanging parts, and safety inspections. Make sure your stove and chimney are fully inspected prior to winter.